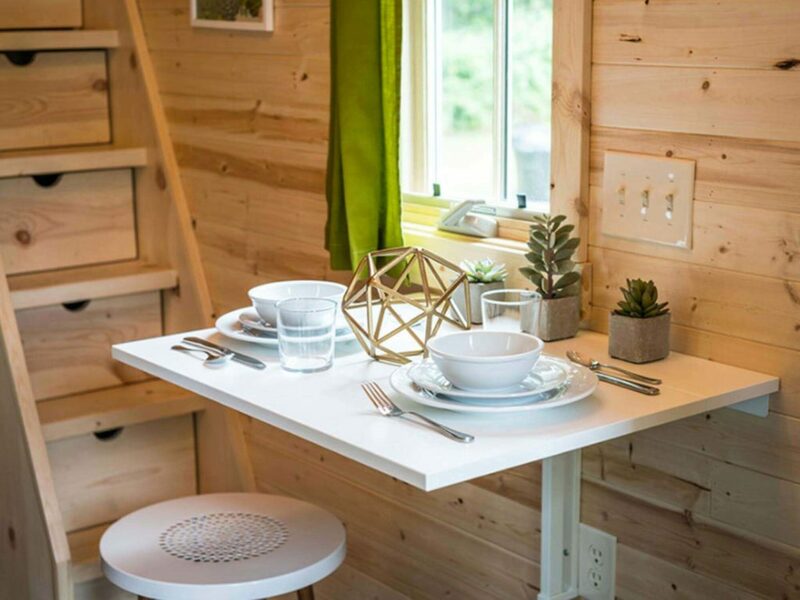 No matter what type of home you live in, be it tiny, small or regular-sized, finding creative storage solutions can be a fitting challenge. 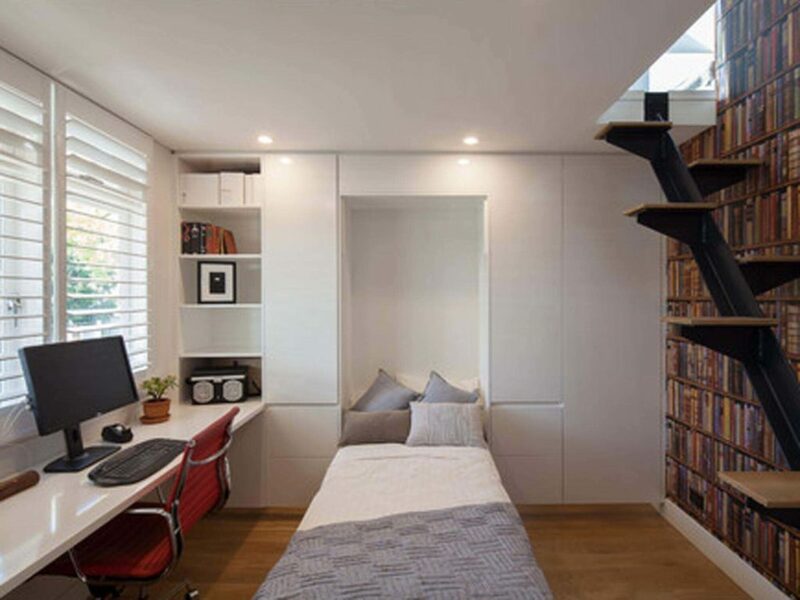 Whether you’re looking to hide the accruing collections of stuff from a growing family or just want to give your space a clean modern feel, any extra space that can be used is valuable. One of the best ways to maximize the area in your home is to save space using micro linear actuators. 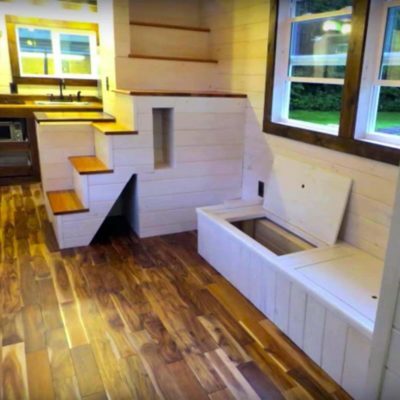 Installing small, electric linear actuators will enable you to design creative storage solutions by creating new or utilizing previously wasted spaces. 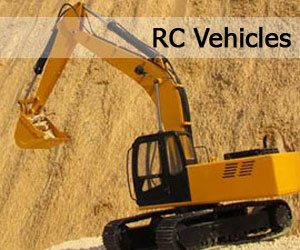 These small linear actuators can automate in a variety of configurations to reveal hidden storage compartments. 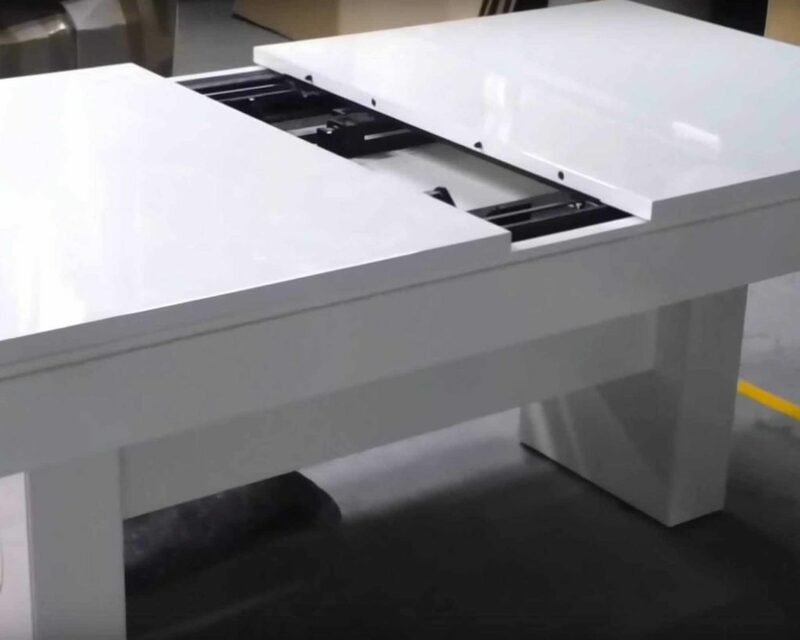 Below we will give some examples of how to save space using micro linear actuators, but first let’s quickly go over just what a linear actuator is and does. 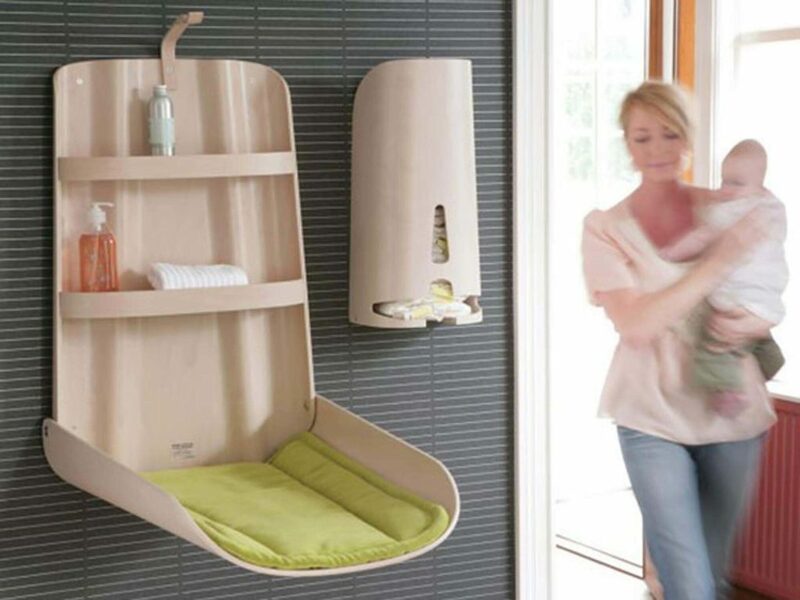 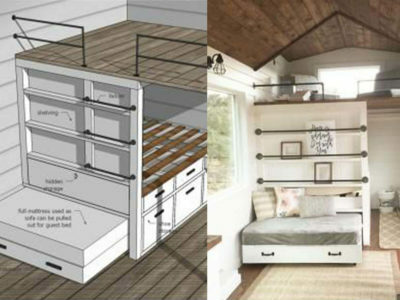 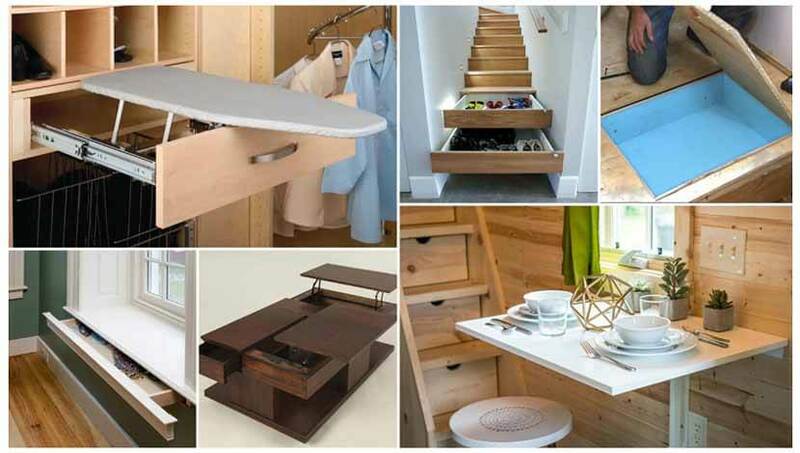 Many of the creative storage solution ideas you will see below are designed to slide-out, lift-up, drop-down, fold-up or basically be adjusted or moved in some analog fashion using simple human motion, which is great, especially for off-grid living… but who has time – or hands – for that? 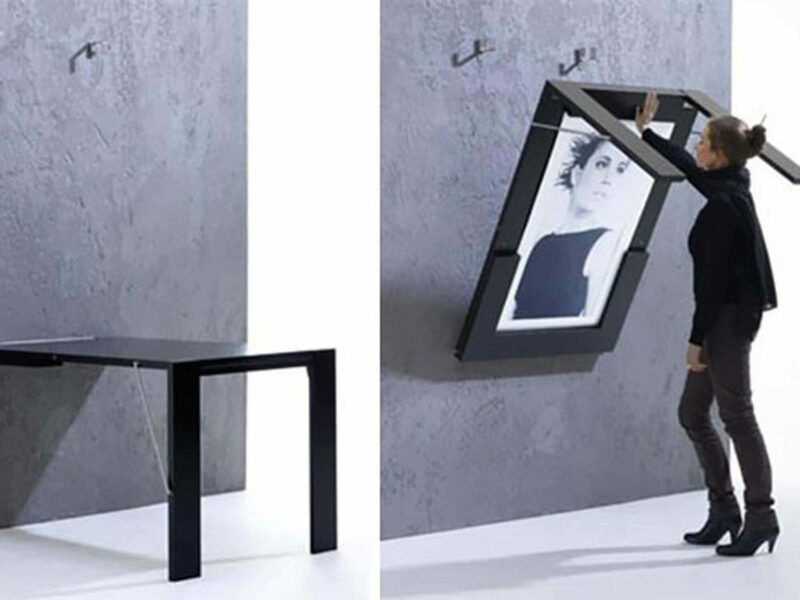 If you can automate the motion, keeping your hands free, why not? When you save space using micro linear actuators, you don’t need to push or pull the storage compartment out yourself, the motors do all the work, leaving your hands free to hold the items you need to put into said storage space. 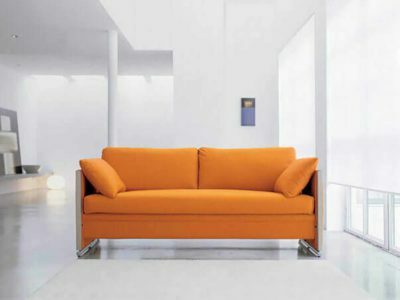 Programming the actuators to move automatically may sound high-tech, but it’s actually quite easy to set up and would allow you to navigate your home effortlessly, hands-free, in comfort and style. 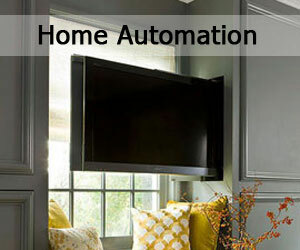 Some common ways people use this type of home automation is by programming the micro linear actuators to activate at certain times of the day or with the occurrence of a specific action. 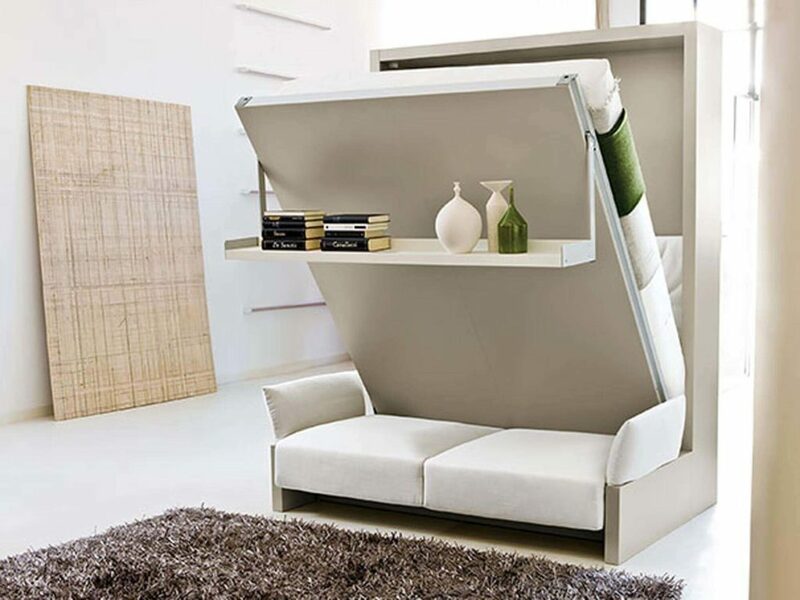 For example, you could program an automated Murphy bed to lower itself in the evening and then to lift itself back upright in the morning at specific set times (this will make you think twice about hitting that snooze button!). Or you could do the same with a hidden screen to drop-down for the morning news and then return to its previously hidden position an hour later. 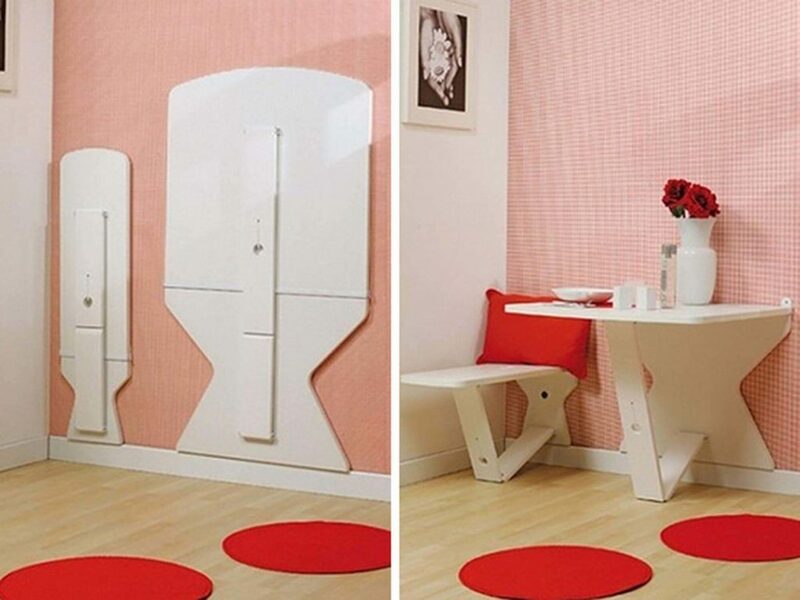 In the bathroom you could automate a hidden cupboard to slide out when you walk in the room using a motion sensor. 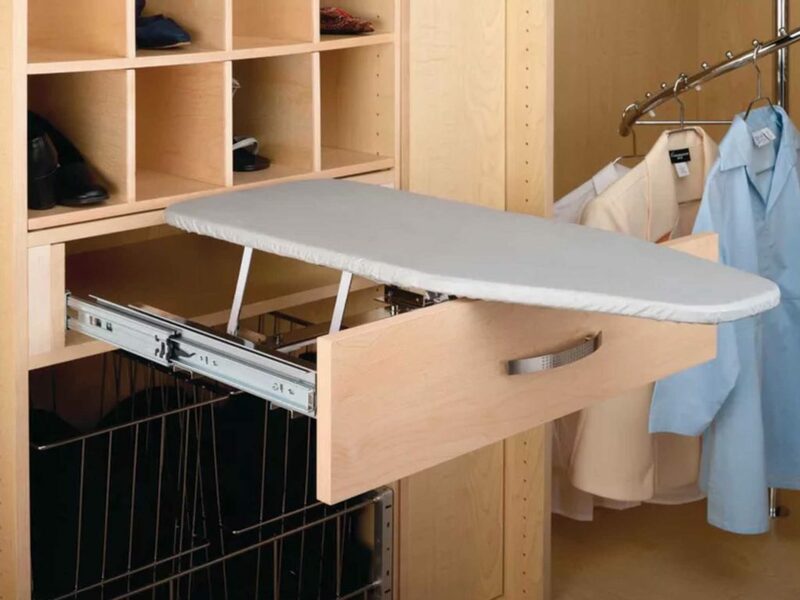 In the laundry room, the hidden ironing board and/or fold-down clothes hanger could be set to swing-out/fold-down when the washing/drying machine has stopped. 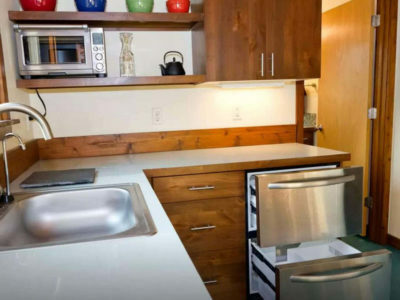 Another idea would be to have a kitchen table fold-down from the wall with the wave of a foot. 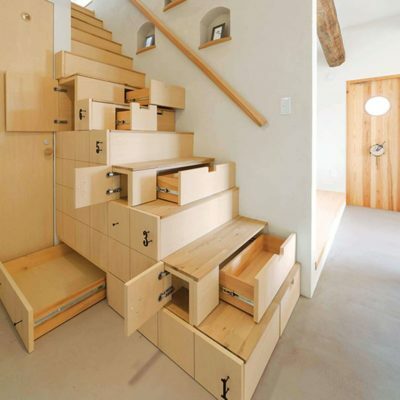 The possibilities are limited only by your imagination! Keep scrolling for a few ideas on how to save space using micro linear actuators. 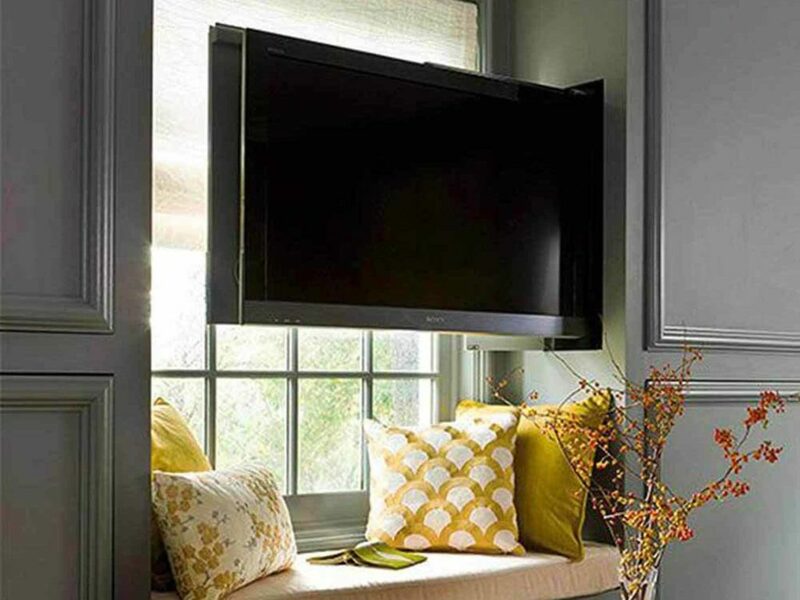 TV’s tablets, monitors, projection screens or virtually any other type of screens are ideal candidates to hide and are often what people think of first when they think of home automation. 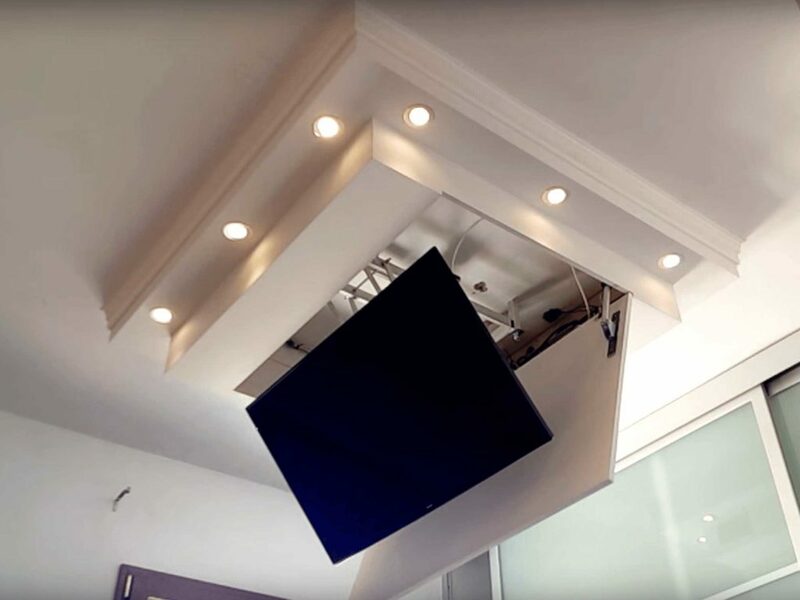 If space is tight and your screen is small, then a couple mini or micro linear actuators are just the right size to tuck your screen wherever you can fit it, such as a wall, ceiling, desk or cabinet. This first example of a hidden TV gives exact instructions on how to make it on a large scale. 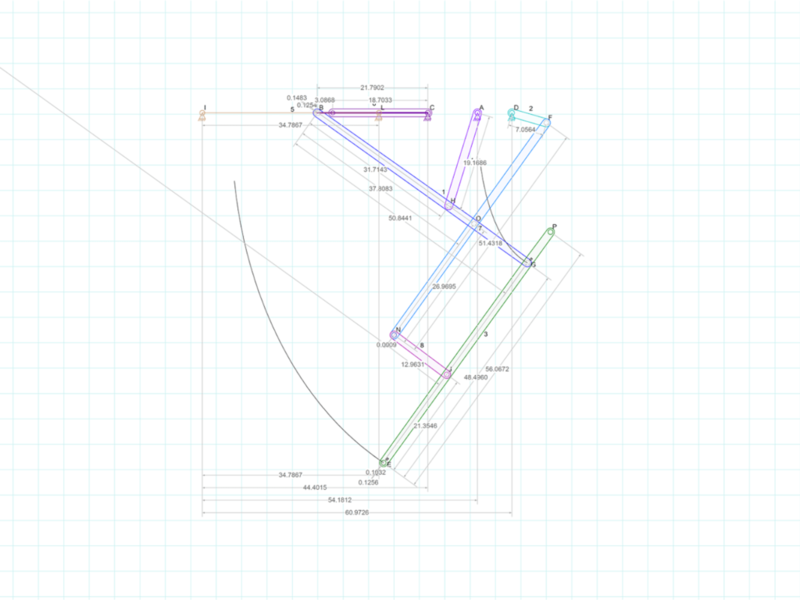 The design could easily be modified to accommodate a smaller monitor using small linear actuators. 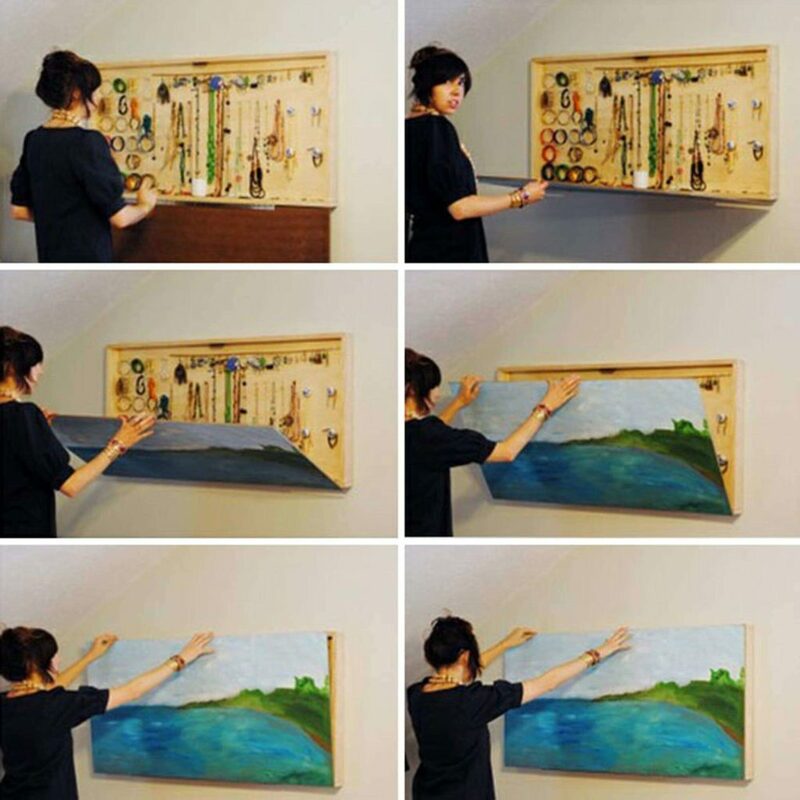 Take a look around your home. 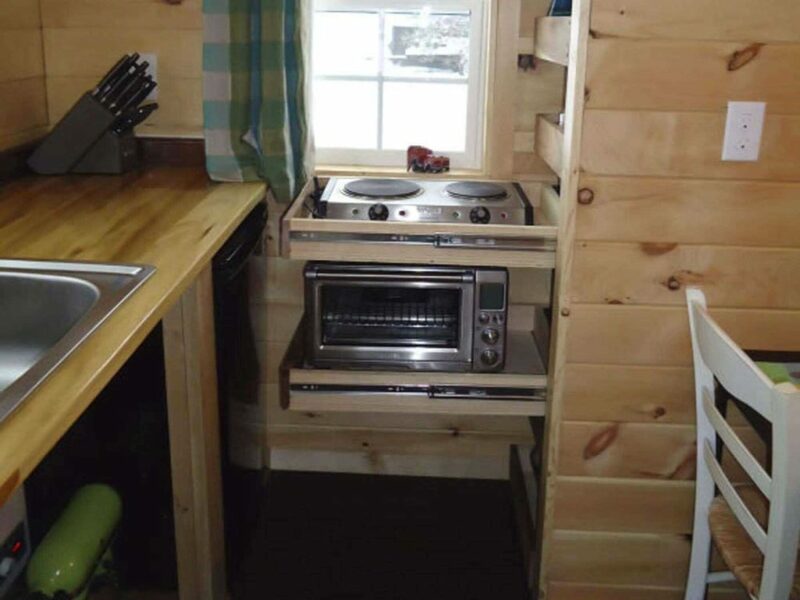 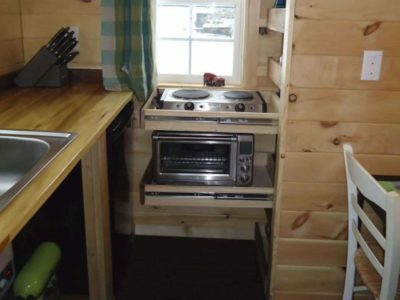 If you look closely, you’re sure to find an abundance of tiny spaces just going to waste. 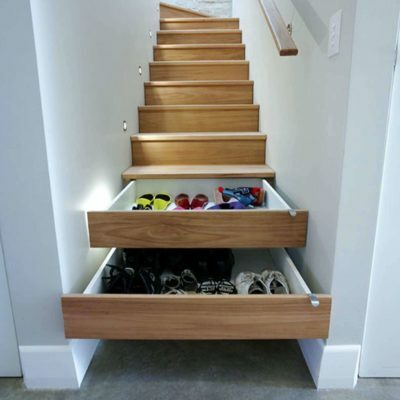 Space that is typically wasted for stairs can be used to create automated drawers or cupboards. 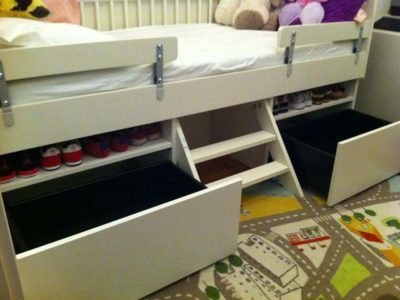 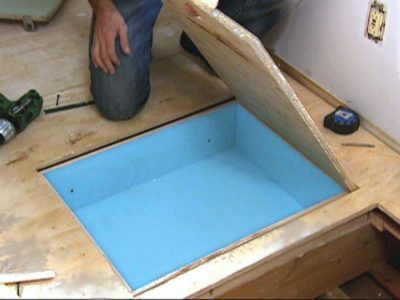 Create safe hiding places by installing hidden compartments in walls or floors. 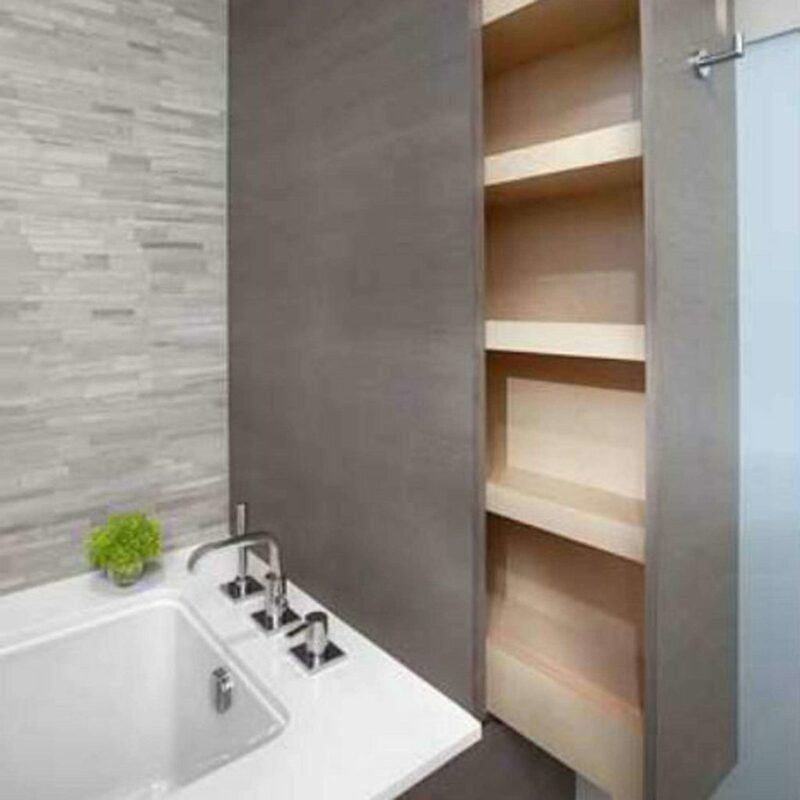 Construct new storage spaces tucked away in a custom build, flushed wall cabinet. The shelves can also pull out to reveal even more storage. 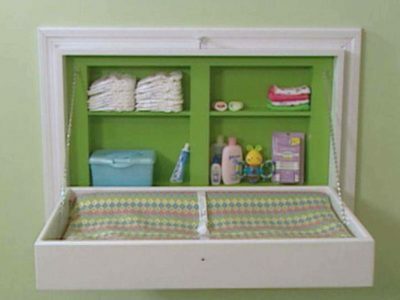 Tiny, narrow spaces can be made useful with a slide-out, pantry-style storage compartment. 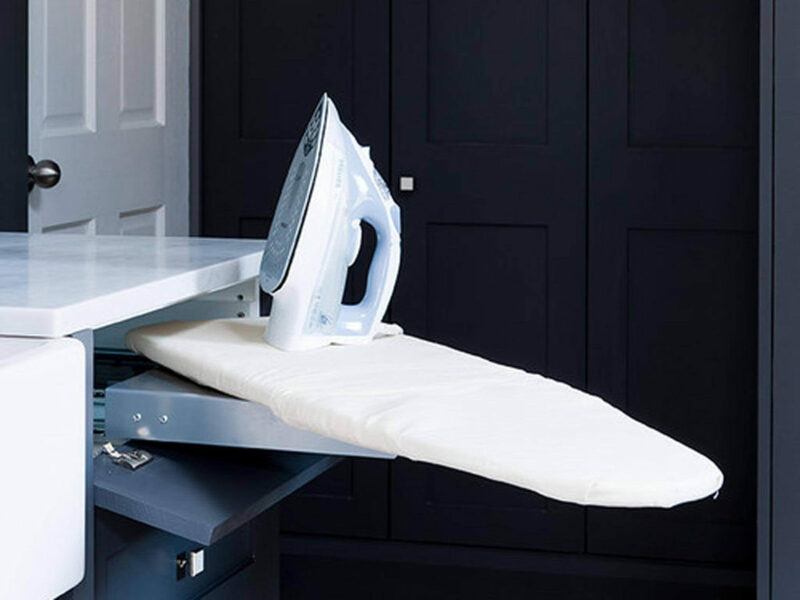 Unsightly, but necessary small appliances can be tucked neatly away in pantry drawers or other hidden, automated shelves. 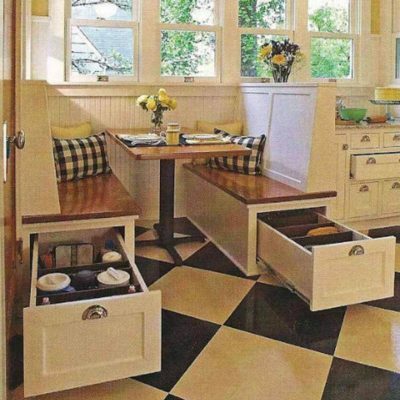 This also frees up counter space normally reserved for such items. 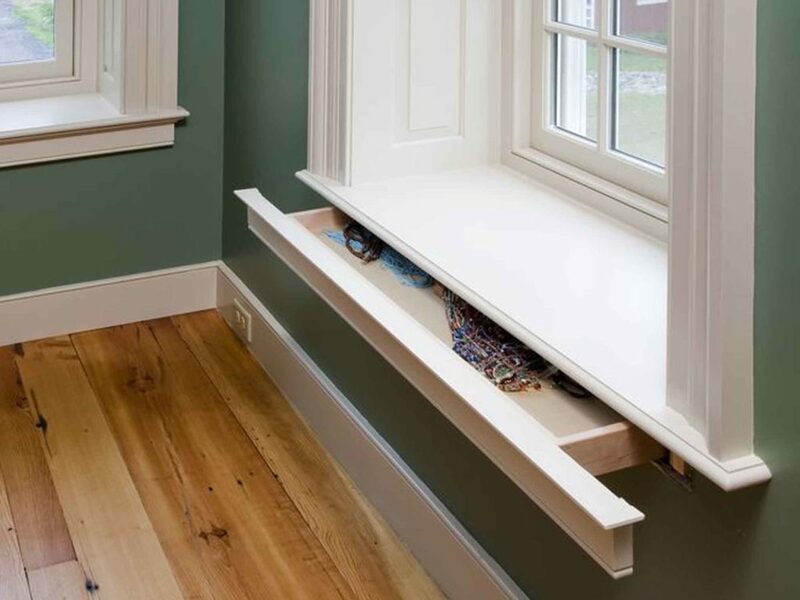 Small spaces can be highly functional as well with the tools of everyday chores hidden from sight, but still easy to access. 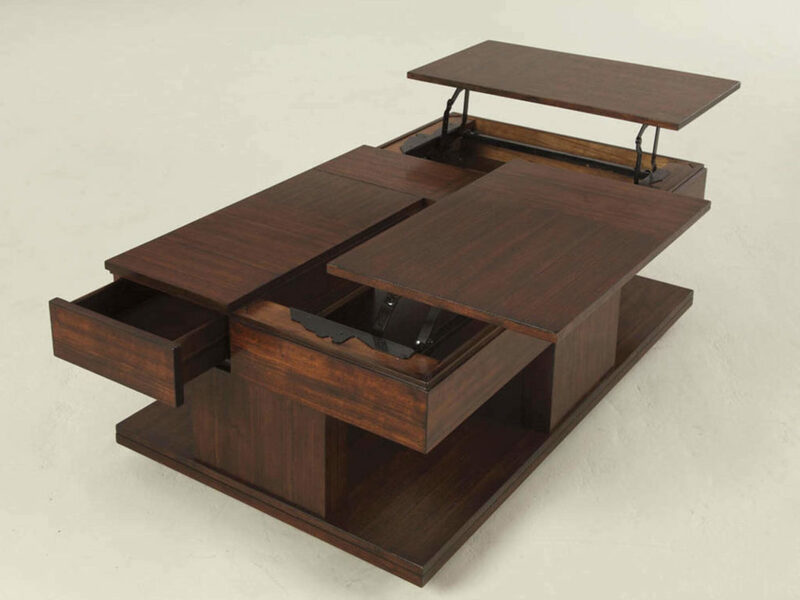 Desks and tables can fold-down from a wall; Artwork can fold-down, lift-up, swing out or move to the side to reveal a secret storage compartment. 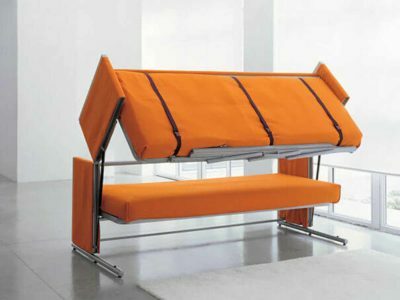 Traditional swing-out doors take up unnecessary space and can block areas of the room. By changing to sliding walls, you maximize the entire space of the room. Hide and protect busy collections or special items like jewelry, tools or utensils behind beautiful artwork. Drying racks can be both beautiful and useful. 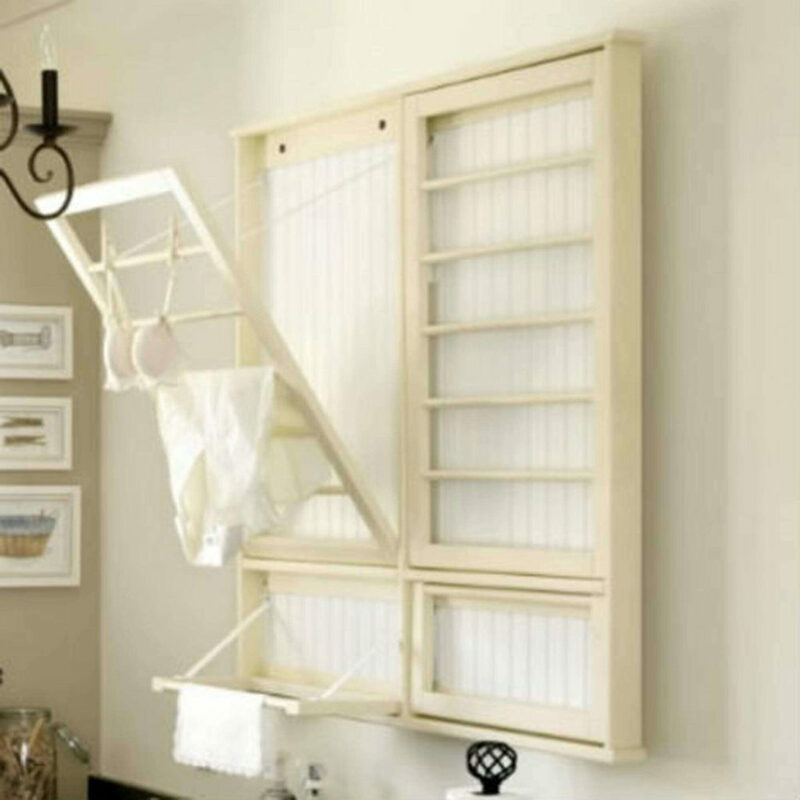 Save space using micro linear actuators to gracefully drop down racks for hanging items to dry. 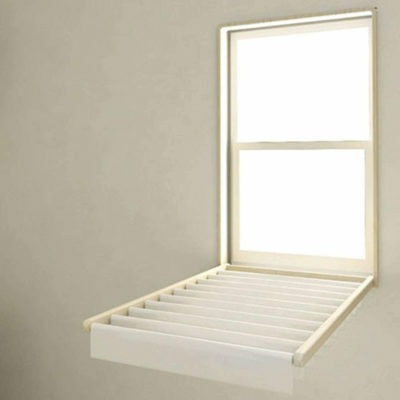 With a simple yet ingenious modification, drying racks can also double as window blinds. 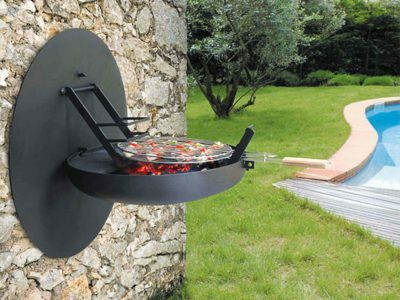 Space can also be saved outdoors by doing away with bulky appliances and using a wall-mounted BBQ pit instead. 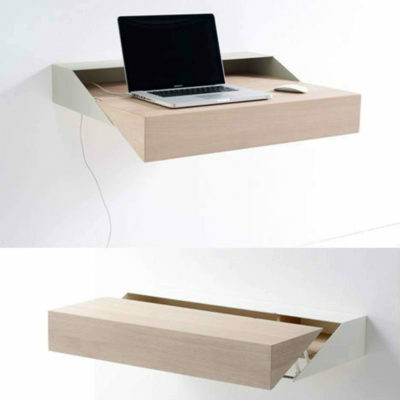 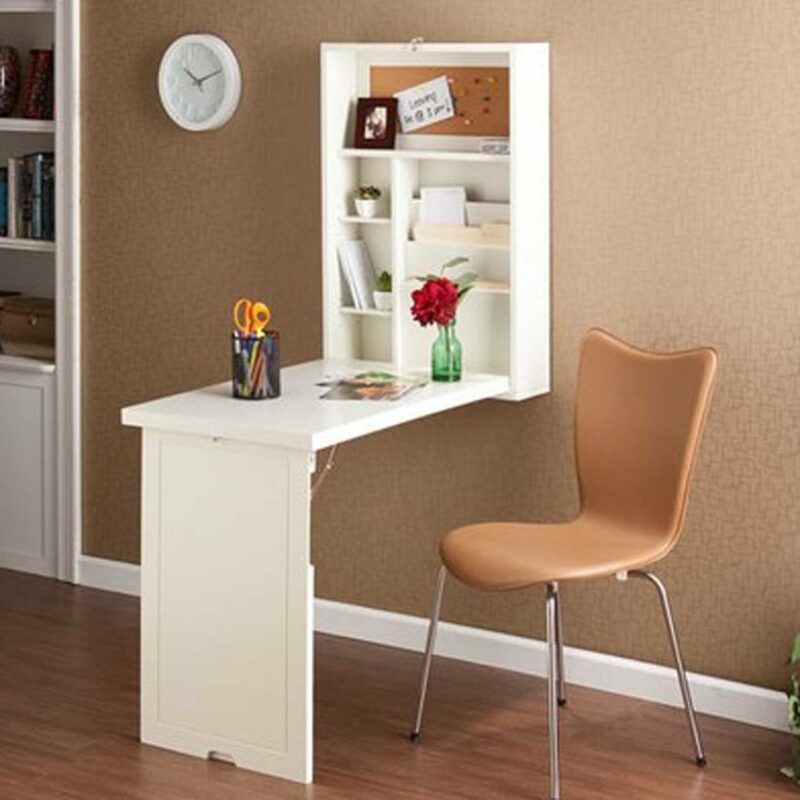 Easily create more space by folding a table or desk on the wall. Artwork, mirror, or writing surface like a chalk or dry board can be placed in the center for added style or function. A wall mounted, fold-down baby change table can save a lot of floor space in a small room or apartment. 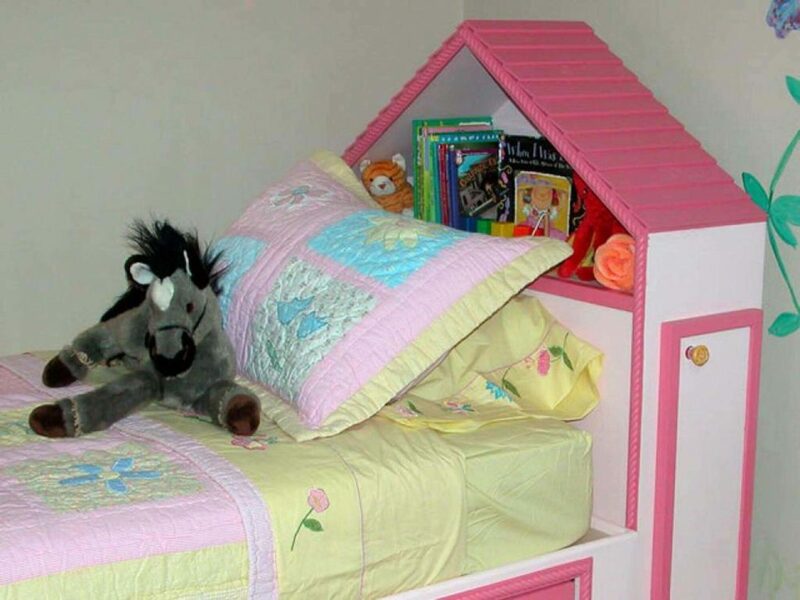 Not only can creative storage solutions be found in the nooks and crannies of your house, furniture too, holds many unused spaces that can easily be modified to become another place to store all those little items you don’t want lying around cluttering up the room, or something completely different. 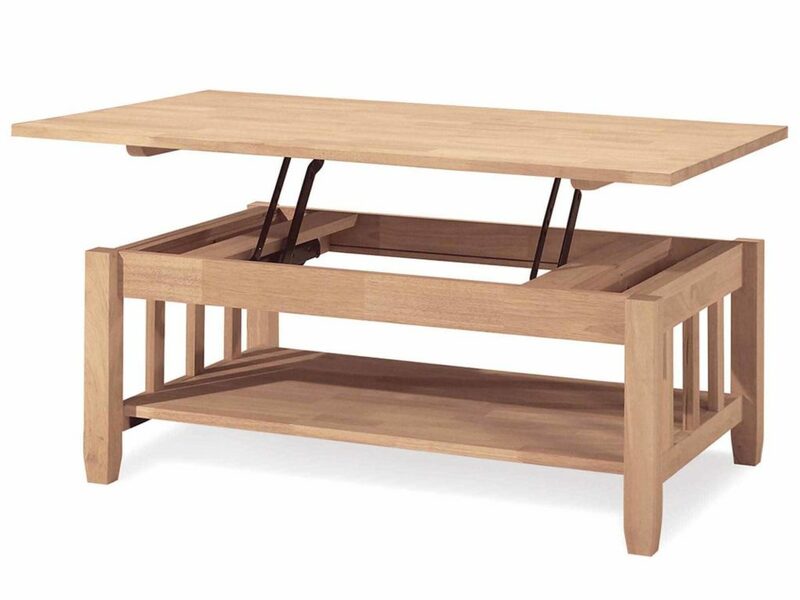 A coffee table top can lift with the push of a button to become a work desk, game table top or dining table with the added benefit of a storage compartment underneath; Small tables can automatically extend to accommodate more guests for those occasional dinner parties; dressers can hide messy pet food and supplies. 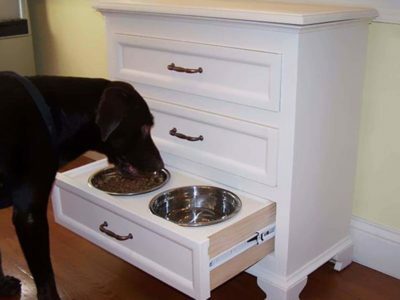 Pet food bowls can tuck away in an automated, hidden dresser drawer (install the button on the floor and your dog will soon learn a new trick!). 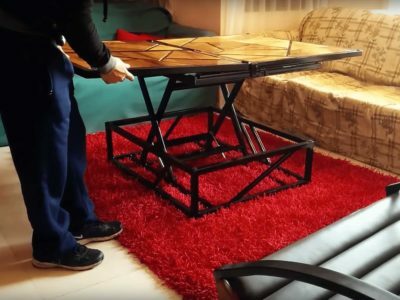 The possibilities for transforming a coffee table to a desk or table are practically endless! Many kitchen tables come with some way to extend them. 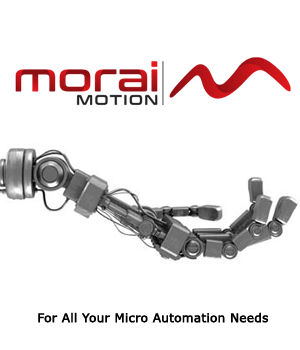 When you save space using micro linear actuators, the extension and retraction is performed automatically. Couches, loveseats, sectionals, benches, chairs and beds can offer up even more ways to create storage compartments or install automated monitors or small trays for working or eating. 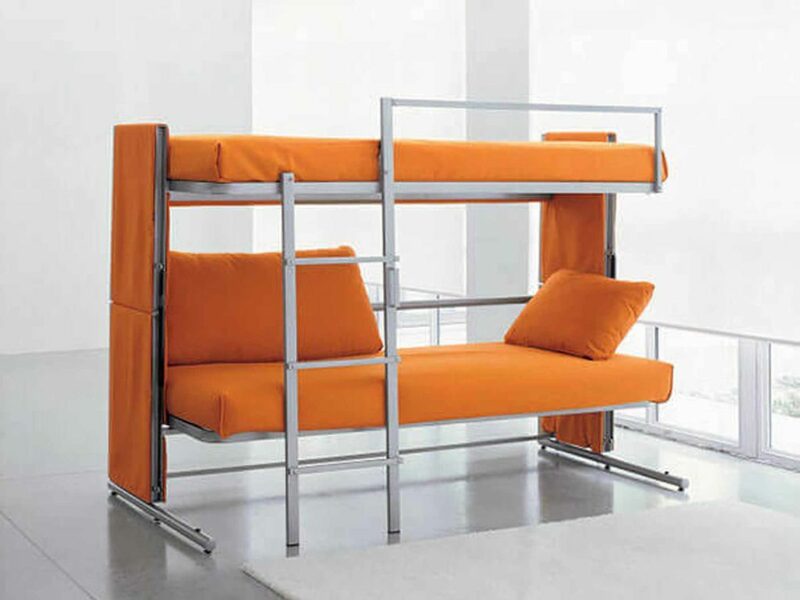 Why stop looking for small spaces and furniture items to create new automated storage solutions? 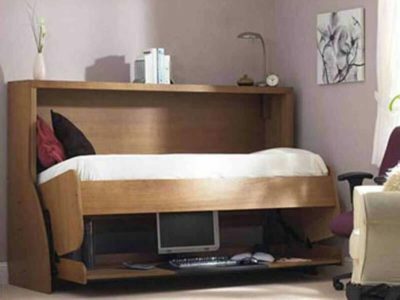 With larger electric linear actuators you can easily modify chairs, love seats, full couches and beds like Murphy beds and bunkbeds. 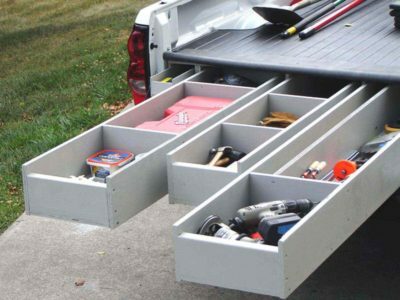 If you run out of room in the house, why not add some extra storage for tools in the truck!